Tag line: "The Most Famous Reindeer of All Time!" This is the time of year when many cinephiles turn their attention towards Holiday-themed films, watching everything from the classics (It’s a Wonderful Life, The Miracle on 34th Street) to more contemporary titles (Love Actually, The Polar Express). So, you can imagine how surprised I was to learn that, over the last three Holiday seasons, I’ve covered exactly two Christmas movies, one of which was the 1974 slasher, Black Christmas! In fact, aside from Black Christmas, Elf (which I wrote up in July of 2012), and the 1984 made-for-TV version of A Christmas Carol, I’ve ignored the Holiday genre altogether. Well, it’s time to make amends. 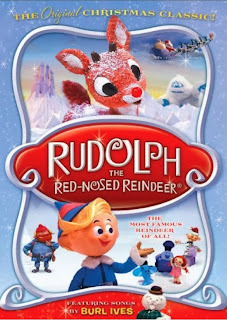 So, throughout December, I’ll be focusing on a number of Christmas-themed movies, and what better place to start than the 1964 Rankin/Bass stop-motion classic, Rudolph the Red-Nosed Reindeer? Many of you are already familiar with the story: Like most reindeer, Rudolph (voiced by Billie Mae Richards) dreams of one day joining Santa’s team, helping him deliver toys to all the world’s children on Christmas Eve. Unfortunately, Rudolph was born with a slight defect: a glowing red nose, and as a result he’s shunned by the other reindeer. His only friend is Hermey the Elf (Paul Soles), who’s also an outcast because he’d rather be a dentist than make toys. Tired of being put down, the two leave the North Pole, and, on their journeys meet up with a prospector named Yukon Cornelius (Larry Mann), who spends his days searching for silver and gold. Together, the three will face off against the Abominable Snowman, a fierce creature with razor-sharp teeth; and make new friends on the Island of Misfit Toys. Over time, Rudolph comes to terms with his unique condition. In fact, as he’ll soon discover, being different sometimes has its advantages. Along with its timeless tale, Rudolph the Red-Nosed Reindeer features a number of now-classic tunes, the most notable of which is Have a Holly, Jolly Christmas, sung by Burl Ives (who also provides the voice of Sam the Snowman, the show’s narrator). And while some of the animation may look a bit choppy at times, the characters themselves are infused with personality (especially the boisterous Yukon Cornelius, who shouts almost every line of dialogue). Even with Santa (voiced by Stan Francis) portrayed as a nasty old grouch, who chastises Rudolph’s parents because of their son’s nose and ignores the elves when they perform a song for him, Rudolph the Red-Nosed Reindeer is sure to bring a smile to any young face. 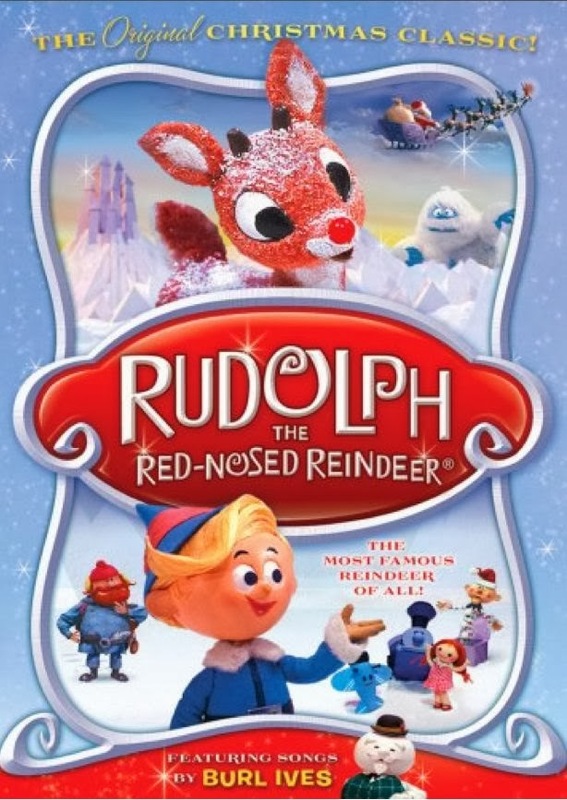 The longest-running Christmas special of all-time (it’s been broadcast on American television every year since 1964), Rudolph the Red-Nosed Reindeer has entertained generations of young fans, myself included. As a kid, I never missed an opportunity to watch it, and to this day, Rudolph ranks alongside A Charlie Brown Christmas, The Year without a Santa Claus and Dr. Seuss’ How the Stole Christmas as one of my favorite Holiday shows.